As one of the original 13 colonies, Virginia has no shortage of historical sites and landmarks. And thanks to the invention of the Segway, visitors to our Commonwealth can tour places like Richmond and Yorktown more efficiently. What’s a Segway, for starters? Segways are self-balancing scooters that people ride while standing up, allowing them to cover more ground than they could on foot. But as with any wheeled vehicle (skateboards, bicycles, roller skates, motorcycles), Segways can cause serious injuries to riders, as well as pedestrians. To help the situation, a well-meaning Virginia state senator proposed legislation to make it illegal to operate any “electric personal assistive mobility device, electric power-assisted bicycle, or moped” on a highway while drunk. The problem with the proposed law is that people don’t drive Segways on highways (or at least not often). The maximum speed of a Segway is about 15 miles per hour, nowhere near fast enough to compete with traffic moving at 55 miles per hour. What’s the real danger of a Segway? While operating a vehicle in a state of inebriation is never a good idea, drunken Segway driving doesn’t seem to be a big problem in Virginia. What is dangerous about Segways is that most riders are on a Segway for the first time in their lives. It’s not like there’s a Segway in every person’s garage. Most riders rent these vehicles on an hourly basis or as part of a tour. A rental shop will typically give a 20-minute lesson on operating a Segway before they unleash rookie riders upon the sidewalks and streets. When you think about the amount of time you spent learning to drive a car or ride a bicycle, 20 minutes doesn’t seem like enough time to be able to competently operate a vehicle of any kind. A Segway weighs between 90 and 120 pounds. Add the weight of the rider, and you have a motorized machine of approximately 260 pounds. Something of that weight moving just 15 miles per hour can cause serious injuries when it collides with a pedestrian. Tour companies or Segway rental businesses should not allow incompetent riders to endanger other people on streets and sidewalks. 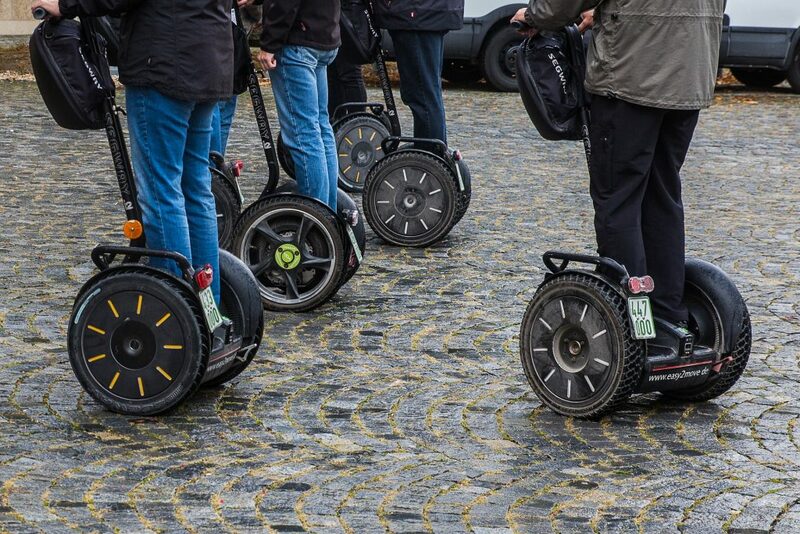 If you’ve been injured by a Segway, you may be entitled to compensation from the person or company responsible. To find out more, call GibsonSingleton Virginia Injury Attorneys for a free consultation at (804) 413-6777. We’re personal injury attorneys who stand ready to serve you.